Why Should You Jump In Now? * Join us now and you will get a bulletproof training system that teaches you the best of both worlds - ranking with only traffic or ranking with link building and traffic! You will learn how to rank for local and national keywords in a way that nobody has ever taught. * You will learn from the best two SEO's in the business. Jimmy Kelley has taught SEO to thousands of students worldwide since 2013. Jimmy and Tonni have been a 'secret weapon' for Fortune 500 companies creating highly competitive search engine rankings in super-competitive niches, where other's could do nothing. "After following Tonni's instruction I noticed like he said, in webmaster tools, I did not have any brand queries. As instructed I put the brand (unique keyword) in the JKD Traffic Ranking System. I added 5 more keywords that I was trying to rank for in the software as well. I also optimized my on-page exactly like Jimmy and Tonni instructed. A couple of days later there was a bunch of ranking increases across a number of local keywords that had not improved before. This included keywords that I had targeted as mentioned. This whole process really "beefed up" the whole keyword rankings of my target site, specifically the homepage. All of these 5 to 10 ranking position-improvement on local keywords happend in 2 days or maybe 3 days after putting it in the JKD Traffic Ranking system. Wow! After those first couple of days I would look at specific keywords manually and watch them increase in rankings as a direct result of the software. For example, several of these keywords would spike from search engine results page 4 and 5 to actual 1rst search engine results page position number 1, 2 or 3 on most terms. So we were watching this manually because Google webmaster tools is usually about two days behind in informing us of what was spiking or being 'tested' for my site ranking the day that it was actually happening. Tonni's 1-on-1 mentoring and guidance in the Ranking 2020 course helped me understand this, and to test what was really going on. After I watched these awesome result, with Tonni's help I set up a second local campaign. This campaign was keyword specific, which is what is taught in the Ranking 2020 course as "keyword specific" targeting "Phase 2". This is best after successfully ranking the "Branding/Unique + Keyword" "Phase 1". So I added my "main money keywords" and 5 LSI keywords (latent semantic indexing keywords) to the JKD Traffic ranking system which worked like a charm. Tonni told me to keep an eye on when the CITY + STATE started to spike that KEYWORD + STATE will start to spike (rank higher) very shortly after. I was paying extra attention for this result and 'sure enough' my important money KEYWORD + CITY ranked first page at ranking position 2! This was CRAZY to actually see, because it did exactly what Tonni said it would do. This was not idle talk. After this I set up a "small burst" in the JKD Traffic Ranking Software for KEYWORD + CITY. Again, the search volume was pretty low on this term, which is why I tested a small burst. It worked fine. The keyword was seasonal, but after all of the stuff Tonni taught was implemented, natural seasonal traffic took over the spike set up that we set up in these campaigns. "So, I've cracked into the top 10 ranking positions for a 40,500 visitors per month term in the United States. I'm in Australia. Just traffic alone from the JKD Traffic ranking software." Remember Bill's 'national' ranking testimonial above? Here is proof that what you will learn inside this elite training is not merely a flash-in-the-pan ranking fluke. Bill shared another ranking graphic after more time had passed. You can see the rankings are sustainable all the way into January of 2018 (and probably will be sustained for a long time to come. *Note: It will be very difficult for anyone to compete with Bill because of the combination of on-page optimization and traffic ranking software he has access to inside this member's area. You need to join us so that you can do this too. If you follow our step by step instructions, you very well may have similar results depending upon your ability to follow instructions. The client was THRILLED with these quick wins above! Included: The World's Best SEO Training? "That single SEO tip was worth the entire cost of this months membership . . . "
Want to Learn the Manual Method of Traffic Ranking? We Will Show You Step-by-Step! Note: (Good luck finding a software like this anywhere EVER. Other people have tried to build half-baked systems like this but have not invested the time, money or expertise to create this application SAFELY. We spent over 1 Million Dollars building the JKD Traffic ranking application (Yeah, I am not making this up) - and even if someone had the investment money to build this they would likely NEVER have the 1) SEO expertise to know exactly how to utilize all of this power, 2) the ability to back-engineer CURRENT and ONGOING Google patent changes in order to synthesize the necessary tools and, 3) the skillsets to interface with a top level programmer (formerly head-hunted by Google) in order to make sure these SEO 'rank brain' principles, reverse-patents and ranking traffic strategies are built into a Cloud-Based traffic delivery network that is unbelievably powerful enough to scale . . .
*Learn How To Take Full Advantage of Google Keyword Spike Testing, and Super-Charge Your Entire Keyword Ranking Campaign X1000. *Learn Little Known Secrets About Why, When and How Google 'Tests' Your Website for Various Short-Tail, Mid-Tail and Long-Tail Keywords, How These Keywords Relate to your 'Super-Title' and How To Optimize On-Page To Rank for All of Them At The Same Time (You can accomplish this with or without the JKD Traffic Ranking Software but it is MUCH more powerful using our system). *Learn Little Known Connection Between Google Maps, Google My Business and Your National "Spike Rankings". Rank in Google Maps in Multiple Zip Codes and Cities Surrounding A Business Location. *Learn From Tonni His "Facebook Contest" Manual Method That Ranked Him for an Incredibly Competitive Term In Just A Few Weeks. You Will Learn This Step-By-Step, Including the "Thank You Page" 301 Forward Trick That Super-Charges Your Ongoing SEO After The RankBrain Effect! *Learn the Correct Way To Create Fast Site Speed and Optimize SSL Encryption the Correct Way. More Importantly You Will Learn How To Quickly Create the Fastest Website In Your Niche and Do NONE of the Work (Unless You Want To). *Canonicals Or Die! Learn from Jimmy and Tonni the (Correct) Power of Canonicals in Theory and Mostly In Practice. You MUST Understand the SEO Power of Canonicals and Not Mess This Up! Don't Worry, Most of Your Competition Already Has This All Screwed Up. Make Sure You Are Not Doing What They Are Doing . . .
*Learn AMP (Mobile) Page Integration the RIGHT WAY. If Anyone Tells You That AMP Pages Are Bad, They Are Doing It Wrong. *Learn TOC 'Power-Boost' Secrets. As If The TOC Method (Above) Is Not Powerful Enough, We Show You How to X10 Using The Power of 301's. This Will Only Take You 5 Extra Minutes to Implement! *Learn Power Boosting with Link Shorteners. Yeah, You're Likely Doing It Wrong. This Tip Alone is Probably Worth Your Membership. Sometimes It Is The Simple Things . . .
*Learn How To Link Build Properly and Which 3rd Part Services To Use and Which Services To Avoid with The New 'Rank Brain' Google patents. We Give You Paint-By-Number Instructions. And We Explain What Services and Gigs 'Work' and Why. *What the Heck Is A Super Title, and Why Are People Doing It Wrong? Learn To Master The Super Title Well Enough To Create Them In Your Sleep. *Learn How To Optimize Your Super Title for BOTH SEO and Conversion or VEO (Visitor Enhanced Optimization). *SEO for IMAGES and VIDEO Like You Have Never Seen Before (Unless You Learned it from Jimmy or Tonni). Learn the Code Behind The Code Behind The Code When It Comes to Optimizing Images and Video Files. (Yes There Are 3 Levels of Optimization If You Choose To Apply What You Learn). This Is Likely Worth The Entire Cost of Membership. *Everything You 'Never' Imagined You Could Do With SEO Optimized Images And Video Files - The Hack Behind The Hack Behind The Hack. (If You Do This, You Will Probably Be In The Top 1% of SEO Masters Worldwide. *Crazy Schema Mark-Up Tricks-Behind The Trick. Schema CAN Be Used To Super-Charge Your SEO Endeavors, And It Is Not Even Black Hat. *Learn Total Schema - from Geocodes, to Images to Nested-SEO-Power-URL's Inside Your Schema that Nobody Even Knows About. These Will Help You Rank In Ways That Few Will Ever Know About! Members Only Skype Rooms Where Instructors Are Present! *The Ranking 2020 Skype Room is a tight community of SEO students and professional who get feedback from professional instructors. Any questions about the training, the JKD Ranking Software, the Spike Technology, On-Page SEO Optimization as taught by Jimmy Kelley, general SEO questions, clearing up common SEO questions in the industry, feel free to ask in the general Ranking 2020 member's only skype room. *It is not always obvious to everyone some of the hidden values of becoming a members of a very advanced SEO training community, and studying directly with instructors who are probably the best in the business. There are hidden values, tips and hacks that inevitably come around. Often there are hidden synchronicities with like minded people, unexpected partnership with gifted money-makers and all sorts of ROI that you cannot always put on a sales page. Sometimes these "hidden and unexpected surprises" far surpass your costs and expectations of what you would get. This is why we believe in the power of building a strong tribal community. *Trust is an integral part of SEO education. There are methods, tips and techniques that you will learn that can translate directly into CASH for yourself and/or your clients. As a result we reserve the right to deny service to anyone and remove anyone from the group as we see fit. We expect you to maintain the trust and the integrity of this community while you are an honored member. Please Be Aware: Due to Popular Demand and the 'Intimate" Nature of Our Training (Including the Skype Room Where Instructors Are Available) - JKD 2020 May Be Closed at Any Time! 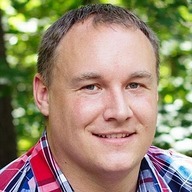 Jimmy Kelley is a highly accomplished SEO expert that brought Domain Authority Stacking (DAS) to the market. Along with many other techniques Jimmy is an expert in Local, National and international rankings as well as penatly recovery on websites within Google and Other Search engines. Trouble with the Desktop Assistant? Jimmy's Quick and Dirty "How to Buy and Implement Bursts"
Goo.gl Help File - Thank you Paul DuCoing! No Refunds: Because of the nature of this product, we are not able to provide refunds. Please do not purchase if you plan to refund because we will not give one to you and are protected by law.